The crown jewel of our golf trip and the sole reason Jefe and I spent the last 3 days together in Colorado was to play Ballyneal Golf Club, the Tom Doak-designed masterpiece in Holyoke, CO (about 2 1/2 hours northeast of Denver). 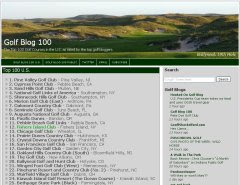 Never heard of Ballyneal? Trust me, you will. Ballynizzle is off the hizzle. It's destined to be one of the top 40 golf courses in the world, if not higher. Personally, I have it in my top 3, walking hand-to-hand with the likes of Pacific Dunes and the Old Course at St. Andrews. All three (along with the River Course at Blackwolf Run) are in that 'I could play this course everyday for the rest of my life' club, possibly the highest compliment I could make for any course. Ballyneal is this golf oasis in the middle of nowhere Colorado. You drive northeast for 110 miles on the Interstate, take the exit in Sterling and drive east for another 50 miles or so, going through a couple sleepy towns and speed traps along the way. Holyoke is a quaint little town that reminds me of Radiator Springs in that Cars movie. At the first (and possibly only) four-way stoplight, a tractor was in the left-turn lane. To get to the course, you have to drive through about 6-7 miles of winding dirt road. The entire landscape up until this point has been dead flat farmland. 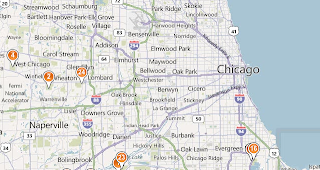 There's really no indication that a world-class golf course is anywhere nearby. Then all of sudden, you begin to see these hills in the distance. The landscape abruptly changes to these wild, choppy sand dunes, what they call 'Chop Hills' out there. Our first reaction upon seeing the land was 'Wow. This land would be perfect for a golf course.' It's the same thought Jim and Rupert O'Neal had growing up in Holyoke. And I'm sure it's the same thought Tom Doak had when he first set sight on what he'd be dealing with. I wonder how many seconds it took for him to decide to take the job. Ballyneal follows the 'if you build it, they will come' model that Sand Hills invented nearly 20 years ago. If you have a great course, die-hard golfers will make the trek. Doak knew that in order to attract a national membership at such a remote location, the course would have to be special. And he delivers the goods. If I ever get my hands on 1,000 acres of sandy dunes land, Tommy D is the first guy I'm calling. The opportunity to play just happened to fall into our collective laps just a couple weeks ago. Fortunately, they don't perform background checks on prospective guests; otherwise Jefe and I would've been hosed. Jefe just happened to be on a family road trip when I got the news. There were 38 bottles of beer left on the wall when I finally got hold of him. It took him two seconds to decide he was in. It's on like Donkey Kong! The trip couldn't have come a more perfect time for me. I had been working like a dog the last week and a half, catching the late-night trains nearly every night. The night of my son's first birthday, I was on the last train home (12:40 a.m.) Yes, I am a horrible father. I hope Luke doesn't hold it against me when he grows up. The next day, I was so delirious from the long hours that I took the train out to my regular Wheaton stop, walked the three blocks to the parking lot, only to realize that my car was at the other Wheaton stop 1.5 miles away. So I had to hoof it to the other station on a sweltering 90-degree day. Needless to say, a vacation was definitely in order. We arrived at Ballyneal at 7 pm on Saturday, driving up immediately after our morning round at Murphy Creek. We checked-in at the pro shop, filled out some registration forms, and then the assistant pro asked, "Do you guys want to go play now?" I don't even have to tell you the answer to that one. Nothing beats golf right before the sun goes down. Plus, it's the best time to take pictures. Now, I had seen and studied just about every picture of Ballyneal on the Internet, but nothing prepared me for what I was about to experience. The pictures don't do the place justice. Even if I was an above average writer, I couldn't adequately describe it to you in words. The only word that comes to mind is...unbelievable. The bunkering at Ballyneal is the best I've ever seen. Just all sorts of deep, ragged-edge, gnarly bunkers. You know...the kind that are designed to be avoided at all costs (isn't that why they call ‘em hazards?) All weekend, I just found myself snapping pictures at random bunkers and waste areas. The course starts out strong and just keeps getting better. After the relatively tame, but beautiful 3rd hole (I nearly aced it the first time, knocked it stiff the next time. From this point on, #3 is now the Colton Hole), you walk up this ridge, get to the top and BAM!! !, one of the most scenic golf holes in the world. From the 4th tee, you can see for miles, getting a sense of the magnitude of the Chop Hills. Not to mention the hole by itself is a great par 5. There's a huge bunker right that looks like you can reach off the tee, but it is actually the aiming point. You are fooled into thinking you can hit it a mile, and anything even a little bit left is no good. Jefe and I made this rookie mistake, both hitting left and never finding our golf balls. Of course it didn't help that we were looking about 100 yards further down the hole than we should've been. The sun was quickly setting so we gave up on #4 (calling it a halve in our little match-play game), and headed over to the nearby 8th tee to make it back to the clubhouse before dark. About half way down the 4th, you get a glimpse of the wild 7th green, an opportunity to preview the pin placement on the potentially drivable, short par 4. I love the attention to detail here. Your strategy will likely differ on 7 depending on where that pin is, it's nice to reward the player who thinks ahead. The 8th is a cool uphill par 5, another opportunity for birdie. The green has 3-4 different tiers, which Jefe experienced fully by hitting his approach to the far right when the pin was in the far left. His 3-jack (the first of many) gave me the 2-1 victory in our mini-match. Unfortunately, it would be my only golf win of the entire weekend. We headed back to the clubhouse to meet our host and the rest of our party for dinner. It was the perfect first little taste of the course, and only made us even more excited to see the rest the next morning. We were giddy like little school girls. I couldn't even fathom a stretch of golf holes better than the ones we just witnessed. Amazingly, the rest of the group assured us that the back nine was even better than the front. Sunday morning couldn't come quick enough. June 29, 2008 was going to be one of the best days of our golfing lives. If your vision of private golf clubs begins and ends with Bushwood Country Club from Caddyshack, you couldn't be further from the truth out at Ballyneal. It's such a laid-back and unpretentious place. The staff is super friendly and very attentive whether you're a founding member or some riff-raff like Jefe. The on-site accommodations are just right for a golf binge, understate and comfortable, with a cozy flannel duvet cover that's perfect after a day of walking 36 holes or more. Your only complaint might be that's it's actually too quiet to get a good night's sleep. Like I said, it's the attention to detail that adds up to a memorable experience. If I were ever to join a private golf club, this would be it. If I lived in Denver, it would be a no-brainer. Even 850 miles away, it gets serious consideration. There's a cool vibe to this place, almost like everybody on the staff, the members, caddies and other golfers all know just how special this place really is. And they want to share this excitement with everyone they know. It must be contagious, because I'm still buzzing. I got back to Chicago late Monday night, went to bed exhausted at 1 a.m., yet couldn't go to sleep until 2:30 a.m. because my mind was racing about all the events, golf shots and conversations of the last 2 1/2 days. You can have all the top notch amenities, five-star service, honors caddies, etc, but the buzz comes from the golf course. Simply put, Ballyneal is just a fun place to play. I hope you weren't expecting lust green fairways and super smooth, super slick greens running 13 on the Stimp. You won't find that here. The greens have the most severe slopes and mounds I've ever putted on, but are kept a little slower to ensure playability. I guarantee you'll face at least one putt that you've never encountered before. Also, I hope you weren't expecting to find winding cart paths and high-tech carts decked out with GPS. You won't find that here either -- the course is walking only. The routing takes this in mind, with tee areas that are a short distance from the previous green. Heck, you won't even find tee markers...the golfer who has the honors gets to pick where to tee off from on the next hole. How cool is that? The fairways and greens are intended to play firm and fast, so you can run shots up to the hole, play approach shots off mounds and banks, hit a drive in the right spot to get a turbo-kick much further down the fairway (or in the wrong spot and end up with a much tougher approach...a lot of holes give you a blind approach shot if you hit it in the wrong spot in the fairway.) The sprinkler heads don't have yardages on them -- a small complaint, some have numbers on them that you have to use a decoder ring to decipher into actual yardage. It takes much longer than it should. The caddies are equipped with GPS, so why not make that information readily available? I guess the logic is you need to learn the right types of shots to hit into each hole, and in the long run, you won't need actual yardages. You can just play by feel. I like the spirit of this old-school approach, but I still like to have a number in my head no matter what kind of shot I'm trying to hit. Now, I knew going into this trip that Ballyneal was a course with a steep learning curve. I fully expected to play poorly in the beginning, but hoped to whittle my score down lower and lower with each subsequent round. The thing I didn't count on what just how much room for improvement I'd be leaving myself. I was naive enough to think that I'd be fine after playing just a round and a half on the year, simply because I had avoided disaster at Orchard Valley the week before. But the sad truth was my game had some glaring weaknesses, and Ballyneal is the type of course that will expose each and every one of them. The course is fair in that it rewards well-struck golf shots. You can't get away with indifferent golf shots. Poor golf shots are extremely punished. 'Resistant to Scoring' is the term Jefe muttered over and over. The fairways are very wide, but get off the beaten path and you are in serious trouble. Unfortunately, I really had no idea where my tee ball was headed, a very scary feeling. My patented, bread and butter low draw was replaced by a lethal (and random) combination of weak fades and pull hooks. In Illinois, hit a bad drive and you’re either in another fairway or you hit a tree, chip out and make a bogey. At Ballyneal, you hit up into the native vegetation, and everything is still in play. As I learned the hard way, yucca is nearly impossible to hit through. One the front nine of round 1, I hit three poor drives, and made two 9's and a double-bogey 6. I played the other six holes one over. Welcome to Ballyneal, here's your 48, Mr. Colton. Thank you so much for coming. With all this time spent searching for golf balls in the dunes, I really got to know my caddie. All this ball hawking was quite a bonding experience. Unlike most of the caddies at Ballyneal who are local teenagers, my caddie Dan was a 27-ish year old social studies teacher who caddied during the summer. Nothing atypical to us, Jefe's brother Jimbo does the same thing at home...which is exactly what he was at home doing while we were playing the best golf course built in the last 5 years (let the record show that both Jefe and I felt very, very bad about this fact. It's like a piece of us was missing not having Jimbo around.) However, Dan was a little different in that he's also running a seat in the Colorado State House of Representatives. Apparently, the Republican incumbent is running unopposed in that section, so Dan decided it would make for a good learning experience for him and his students if he ran for office. He's running as an independent using Ben Franklin as his model for all campaign decisions. He's got my endorsement. If you live in the 65th district, vote for Dan Conn.
Jefe hit the ball very well and apart from a couple blow-ups and numerous 3-putts, had a chance to post a low number. One thing that I forgot to mention is that Jefe has a new nickname...Tommy Two Gloves. I see him for the first time in months last week, and the dude is wearing golf gloves on both hands! He claims he did it because he started getting a blister on his other hand (hard to do unless there's something seriously wrong with your swing or grip). I firmly believe he did it just to test the limits of our golfing friendship. Every spring, Jefe shows up with some little twist. The dude reinvents himself more than Hillary Clinton. Two years ago, he shows up with one of those broom handle putters. That didn't last long, but the following year he shows up with the claw grip. Then last fall on our New Mexico golf trip, he decides in all seriousness that he's going to grow a moustache. Next year, I predict he will buy one of those two-sided chippers. If he wasn't the only person on the planet who could put up with me, I would've farmed him out a long time ago. I guess we shouldn't be surprised...this is the same guy who bought a brand new $150 Titleist stand bag, then immediately sliced one half of the strap off so he wouldn't have to double-strap it. Needless to say, that bag didn't last long. Unfortunately, I think Tommy Two Gloves is here to stay, because he hit the ball amazingly straight all weekend. It even got to the point that my caddie Dan said to me, "He's got a nice swing." Really? That violent, U-shaped action? Are we talking about the same guy here? Jefe was looking at a decent score until he finished double bogey/quadruple bogey on 17 and 18 to shoot 87. Jefe's not alone. 17 & 18 have wrecked their fair share of promising rounds. 17 is a severe dogleg right with a huge ridge down the middle of the fairway. The correct play is down the higher left side so you have unobstructed view of the green, but your body wants to hit it right at the flag to shorten this 465-yard beast. 18 is a majestic 460-yard par 4 with a uphill green protected by two nasty pot bunkers. Although Doak intentionally tried to design a course different than Sand Hills (the comparisons are inevitable), the 18th wins the award for golf hole you'd most likely expect to see in Mullen, Nebraska. Not that I'd consider that a bad thing. 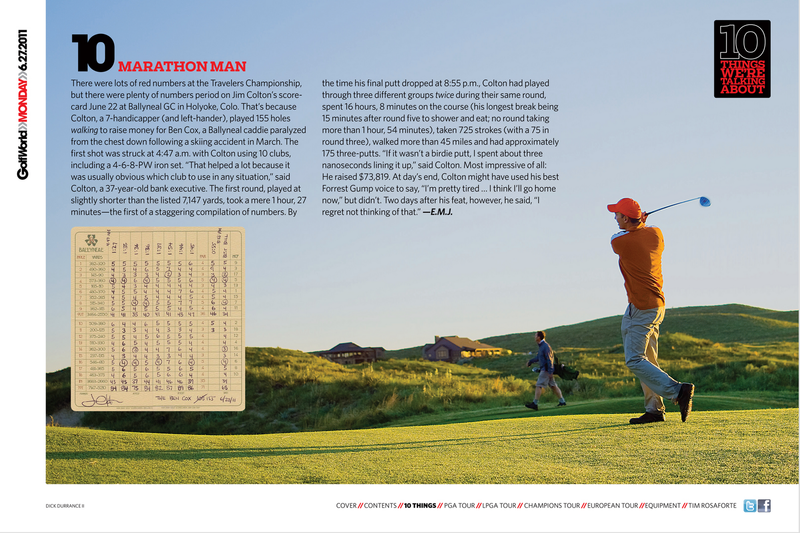 That grand total of golfers playing Ballyneal that day was sixteen. Sixteen!!! This is on a beautiful, sunny Sunday in the middle of the summer. Back home, you'd have sixteen golfers on the course by 6:30 a.m.
Sticking Jefe and Jim on an empty golf course is a very, very dangerous thing. We'd gladly skip lunch and go straight back to the 1st tee. But we waited for others to finish (they were an agonizing hour behind us because of a delayed start), had a chuck burger and teed off again at 2:00 pm, a full two hours after our first round concluded. If left to our own devices, we would've already been on the back nine. The afternoon round went a little better, although I was shocked that I didn't just automatically birdie the Colton hole (I had to erase the '2' I had written down on the scorecard in advance). My driver was still malfunctioning, and after a strong start I ran out of steam on the back nine. After spending most of the morning in the yucca, my motivation to climb up there and find my ball was diminished. On the brutally tough 6th (uphill, 460-yard par 4), I hit a good drive that bounced straight left into a waste bunker. My ball was wedged in the 'V' of two mounds left in the bunker. I debated between lob wedge, then putter, then driver, then back to lob wedge to blast it out there. What kind of shot leads to those kinds of extremes? My lone highlight was a birdie on 16 out of the greenside bunker, a cakewalk by comparison. I simply played it out past the hole and let the slope feed the ball back to the hole. Great fun. We didn't see a single soul the entire round. It was like we had the entire course to ourselves on a beautiful day without a cloud in the sky. Golf just doesn't get any better than this. Jefe had another good round going and was staring down an 80 or better when he got to the 17th tee at 8-over. Once again, the closing holes got him as he went Oscar Robinson (triple/double) to shoot 85. He was inconsolable after the round. We finished the second round around 6:00 pm and still had time for a few more holes before dinner. Jefe and I decided to head back to the front nine to play 'Birdie or Bust', where once birdie is out of the picture you pretty much just go B.I.P. (ball in pocket). Birdie or Bust looked like it was going to be a major bust until Jefe rolled in a birdie putt on the 8th hole. I just can't win. If I was a competitive person, I probably would've been upset about Jefe raking me over the coals all weekend. On the same hole, I thought I had played the perfect shot, up and around the hills surrounding the back right pin position. Jefe has successfully rolled his back to near tap-in range. Mine? Got hung up half way up the ridge on this little lip that was designed just for that purpose. I really had no putt, so I tried to putt it back further up the hill (how many times have you putted away from the hole?). It looked like for a second it was going to stop all the way up at the top, which would've been hilarious. Then it looked like it was going to trickle down right to the hole, which would've been exhilarating. Then it just ended up stopping on the fringe, which was a major buzzkill. That pretty much sums up my golf for the day. It's rare for us to get to spend more than one night at the same golf destination. Historically, most of our golf trips have been 'one and dones'...get up at the crack of dawn (or earlier), drive to the course, play one round, drive to the next course, play another round, etc. It's a welcome change to get to play the same course (and stay in the same room) over and over again. Ballyneal is the type of course that you discover over time. With changing wind positions, wild undulating greens with lots of potential pin placements, the course is always new and exciting. We teed off in the 2nd group of the day. Amazingly, I had another teacher/caddie on my bag. As far as I know, Pam wasn't running for office though. But she is a choir teacher and mom who has a daughter who's done with college. Pam was probably the single most-pleasant and positive person I've ever met in my life. She just thought caddying at Ballyneal (and getting to play the course one afternoon a week) was the best job in the world. Not only is Shayna a golf nerd who kept Jefe's score AND his stats, she could read a green, too. After she helped Jefe drill a long, downhill putt on #13 for birdie (a 510-yard par 4 from the tips), it was the final nail in the coffin. She was marriage material...for Jimbo, of course. I offered to tip her handsomely to get her to stop reading greens for him. I had another good start derailed by a bad drive on #4 (I simply could not hit the ball down the right side of this hole to save my life). I bounced back and forth between yucca plants, ending my round before it even began. #4 was a great hole, I wish I could've played it as it was meant to be played. On the front nine, my scorecard read one-over par...except that I never actually finished #4, #6 or #8. I actually made a bunch of pars but the wildness off the tee was my downfall once again. One of the guys we played with was Jon (aka The Lama), who was by far the longest hitter I've ever played with. I'm used to being the big stick amongst the guys I normally play with, but John was a good 40+ yards ahead of me. By the 6th hole, I was already contemplating wholesale swing changes and upgrading my driver to the newest Titleist model. He had the low, boring trajectory that worked well out at Ballyneal, especially on a windy day. On the 9th hole, he hit a drive about 300-yards right down the pipe into the wind, then hit a half-wedge that landed past the hole and then slowly trickled down the slope closer, closer, then in the hole for an eagle. I had been walking up the left side of the hole and was close to the green with a perfect view of the action. I felt like Stevie Williams on one of Tiger's eagle putts during the US Open. About 5-feet away, I knew the sucker was going in. The only thing that was missing was an awkward whiffed high five. On #15, I hit what I thought was a very solid tee shot to the 235-yard, downhill par 3. The hole plays much shorter than the yardage and you can take it in towards the hole from any direction. I hit a 6-iron flush down the right side of the green, waited for the inevitable bounce towards the green, then finally saw it screaming across the back half of the green. Not a bad shot, except that the pin was in the very front. I was left with a putt that I had to hit about 5 feet up the fringe to get it anywhere close to hole. No problem...I practice the putt-the-ball-five-feet-up-the-fringe shot all the time at home. A tad harder and it would've been perfect, trickling to tap-in range. Instead I got caught again on one of those tiny lips that were designed to turn pars into bogeys. After his birdie on #13, Jefe was only six over par with five holes left to play. Could this be the round that he finally finishes strong and breaks 80 for the first time? I'll give you the short answer...no. He doubled 14, then made a mess of 16-18 after being in the middle of the fairway each time. A double/bogey/double finish left him with 42-42 84, but kept his streak of improving every round alive. With a 8:20 pm flight back home, we'd have to hightail it around quickly to have any chance of playing 36 and making our flights. Thankfully, our host was gracious enough to let us immediately forge ahead by ourselves as soon as we finished our first round. We'd have to be on the road by 4:15 or so in order to return the rental car and make our flight. I finally started playing a little better, although I still hit poor drives on the 4th and 8th holes. I never really did get a chance to go for those greens in two. I did, however, drive the 7th green, which Jefe and I agreed was our favorite hole on the course. The short 325-yard par 4 can be played a number of different ways off the tee. You can lay-up with an iron or 3-wood, but that brings a giant center bunker into play. You can hit drive and either go straight at the flag, bringing the entire left side of junk into the picture, or sling a drive down the right and use the bank to bring it close or on the green. Downwind, I hit a low fade down the right side and rolled right up to the dance floor. Once on the green, the adventure just begins, because the green has a number of different tiers and a huge left-to-right bank. I was on the front of the green and the pin was in the back-right side of the middle tier. I had to bend my putt around using the slope, the higher up the better. But I was deathly afraid of hitting my putt too hard and into the back left bunker. Thankfully I got it right and it ended up only 4-feet from the pin. The sign of a great short par 4 is that it brings a wide range of scores into the picture. On the same hole, Jefe hit his drive into the junk on the left, tried to use the slope on his chip shot, but it came out too hot and rolled into the diabolical right greenside bunker. He didn't have much of a stance and it took him three to get out, including one shot where he missed the ball completely. For the trip, Jefe birdied the hole twice, had one bogey, and one triple. I finally got a chance to play and appreciate the back nine as it was designed to be played. #10-13 could be the best stretch of holes on the course, and it took until my fourth round to figure that out. Numbers 10 & 13 are long, downhill par 4's, one a dogleg left, the other dogleg right. The 13th fairway is huge, but get on the wrong side and you're left with a blind shot to the green. The same is true for the 12th hole, you need to hit it down the left side to have a good angle to the green. The 12th green is one of the most severe on the course. On Monday, the pin was tucked right behind the front little pot bunker. In the morning round, I hit my drive down the middle (for a change), but thought I'd play it safe and not flirt with the bunker. That left me with an 50-foot putt over the side of the a giant 4-foot ridge, which I proceeded to hit to 35-feet right of the hole. In the afternoon, I hit my drive right and had a semi-blind approach, but knowing that you had to flirt with the bunker, I hit a wedge that landed just in front of the green and trickled down to tap-in range. Another birdie on 14 had me thinking I had recaptured the magic, but a silly double-bogey on 15 and a bad break on 17 (my ball was right next to the bunker in a little hole. I tried to pop it out using the backside toe of my putter, but the ball popped straight up and down into the bunker) ruined any chance of posting a half-way decent score (or any score, for that matter). I trudged up the 18th with the full realization that Ballyneal had won the battles and the war, but with optimism that I could eventually score well there given the chance. Hopefully, I will get another opportunity someday. Despite the need to finish up and get out of there, we slogged along like two 85-year olds on the back nine. After 100+ holes of walking over three days, our feet simply couldn't move any faster. 'This is my top speed,' Jefe would claim as he baby-stepped it down a gentle slope. That was until his ball hung precipitously on the front edge of the 14th green. All of a sudden, he started sprinting up and down the mounds to go mark his ball before it blew off the front of the green. With his bag on his back, he looked like a 350-pound man running up and down those hills. Jefe was obviously concerned about posting a good score. At that point, I would've just taken my chances. The happy ending to this story is that Jefe conquered his demons, parring both the 17th and 18th holes to shoot 82, his third consecutive round of improvement. Next time, it's rounds in the 70's for the both of us. We loaded up the car and were on the road by 4:20 pm. It was pretty tight getting back to the airport, and we made it to the gate with about five minutes to spare. If we had more time, we could've stopped in Sterling and asked Shayna's parents for her hand in Jimbo's marriage. About 12:30 am Chicago time, we were pulling up to the same driveway where this trip started at 4:30 am three days earlier. It was back to the grind in about 7 hours for the both of us, with only blistered feet, sore legs, two-toned heads, scorched lips (seriously, my lips swelled up to about twice their size. I looked like that one guy from Fat Albert. ), and memories of three incredible days in Colorado to show for it. We shared one of those too-awkward-for-men-to-be-hugging-this-long hugs (think James Posey and Kevin Garnett) and it was goodbye. Our golfing marriage was saved. At least until he shows up next year with that two-sided chipper. I always love to read about your golf trips with Jefe (and Jimbo, poor guy). 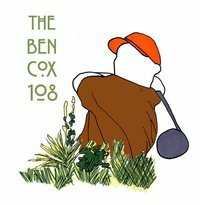 Even though the reality golf show idea didn't pan out, there's got to be some kind of golf website that could use you as a blogger/columnist.